Our business is all about people, so we are passionate about hiring, developing and keeping the best. 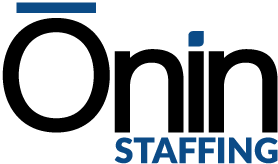 Whether you are a business owner looking to partner with us, a veteran staffing executive looking for a place to take it to the next level, a top sales performer, a killer recruiter or a clerical professional who is passionate about customer service, people just like you have found a home with The Ōnin Group. At The Ōnin Group we don’t have a bunch of VP’s coming up with rules and frivolous reports to justify their existence. We have a decentralized command and control structure where local managers are empowered to make decisions locally making us more nimble and responsive than the competition. Our lean management structure inherently drives accomplishment not bureaucratic activity. 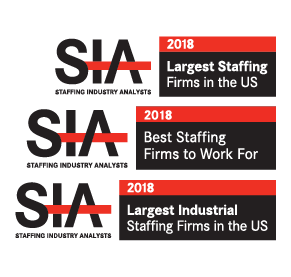 Our vision, values, infrastructure and financial stability provide the framework for rising staffing stars to embrace their entrepreneurial spirit and forge their professional destiny within our organization. If you have the talent and drive, we will give you the room and support to make it happen. Our company seeks to build long-term, sustainable and mutually beneficial relationships with customers, internal employees and teammates. Our employee’s success is measured by the extent which each individual helps us reach this goal. It is shocking how many companies will move the target or change the rules once an employee starts to make “too much money”. We believe this is a shady and short-sighted practice. We believe that compensation levels should be directly proportionate to success levels. We lay out clear and clean commission and bonus plans rewarding behavior that serves our values and then put no cap on income for those who contribute the most. As we consider new hires and business partnership opportunities we look for true congruency in values – service, integrity, innovation and performance. We believe that when an organization is driven by values and not a rules-based bureaucracy or the insatiable desire for short-term stockholder gain, an organizational ecosystem is created which is healthy, self-sustaining and attracts the best clients and top industry talent. To find out more about opportunities at the Ōnin Group, fill out the brief questionnaire and we will point you in the right direction.